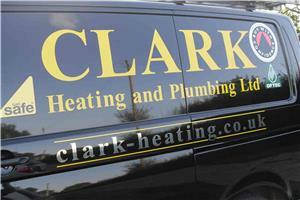 Clark Heating & Plumbing Ltd - Central Heating Engineer, Plumber based in St. Michaels, Kent. We are fully qualified, insured, Gas Safe and registered heating engineers. Domestic and commercial: Boilers, heating, plumbing, power flushing, full system installs through to fixing a tap. Being a family run business, we go that extra length to satisfy our customers, fitting only quality components, we're planning for the future of your custom. Free quotations: Actual install engineer's will make the visit, quotes are free with no obligation and do include a thorough visit of what is required, from calculating space heating requirements and insulation considerations to mains flow rate. As well as any requirements by you. We will post or email a prompt quote out to you with all relevant information. Being 'Worcester accredited' heating engineers we can offer a 10 year manufacturers parts and labour warranty!! While works are carried out we have a limitless supply of dust sheets to protect your property, depending on the installation we do our best to get hot water and/or heating back on overnight. Once work is started we stay on site consistently until work is complete, opposed to some other trades where they may go elsewhere at any given time. Boiler installs & replacementsFull heating system installationsPower flushing General heatingGas works - landlord certificates - safety checks - cookers - hobs - water heatersThermal storesHot water cylinders (vented/unvented) Storage tanks Thermostatic radiator valvesPumps Heating controlsUnderfloor heatingBathroom installations - repairs and replacementsGeneral plumbing - emergencies - leaksand much more!